Masonry remains one of the toughest structures on the planet, but there are certain commercial masonry issues that cannot always be avoided, such as mold, efflorescence, vertical cracking, spalling and so forth. Efflorescence can occur shortly after construction is complete, as well as at any other time. When water penetrates through masonry it eventually leaves through evaporation, but the salts in the water remain left behind. When water evaporates it travels to the surface of masonry, bringing the salts along with it. These salts appear as the white stain notoriously known as efflorescence. Sometimes, issues with efflorescence relate to overuse of acidic cleaners, which can cause staining by depositing compounds such as vanadium and manganese. You can prevent or reduce efflorescence through proper use of materials, detailing and construction. 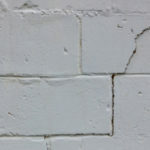 If you notice vertical cracks forming in the corners of masonry walls, it often has something to do with missing or ineffective vertical expansion joints. When clay masonry is originally fired and installed it is at its smallest. Over time, the presence of moisture causes materials to expand, which is why vertical expansion joints are necessary in order to accommodate this expansive movement. Without proper joints in place, the masonry will start to grow toward the corner, resulting in vertical cracks. Another cause of cracking corners relates to drying shrinkage. Concrete masonry is the opposite of brick; it’s the largest at the time of installation. 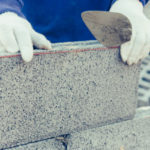 Over time, concrete masonry shrinks, and the proper control joints and bed joint reinforcements are necessary in order to keep corners from cracking. Mold generally starts off as condensation, or moisture in walls that leads to efflorescence, deterioration of plaster, and eventually the development of mold. In some cases, condensation problems arise from moisture migration when interior air moves through wall systems during a cold front. This is more common in buildings with a high interior relative humidity, such as hospitals. There are many scenarios that result in walls holding moisture, and moisture is a key element to mold. Problems are further amplified if water is not able to seep out of the walls through evaporation. There are methods to remove mold and help prevent it from forming again. Good design and proper construction practices can help prevent excess moisture from becoming trapped within masonry walls in the first place. It is common to notice spalling or bulging masonry walls around shelf angles. This is a result of blocked horizontal expansion joints located beneath angles. Masonry expands upwards, causing the outer edge of masonry to lift and bulge outward. As a result of this movement, brick may start spalling. This type of distress can be avoided with proper construction practices, especially in regards to expansion joints installed beneath the shelf angles. Older buildings may incur this issue because of corroding shelf angles. Adding quality coatings and ensuring watertight flashings above shelf angles will help protect buildings of all ages by keeping rainwater out of the surface of the angle. 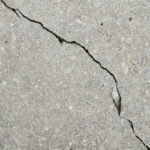 The most common causes of stepped cracking are settlement or deflection. When masonry begins to settle or deflect, the masonry naturally tries to follow it. When the masonry moves in this manner, it results in stepped cracks. If you notice stepped cracking near the upper corners of windows, the issue may relate to corrosion of steel lintels, this is especially prevalent in older buildings. 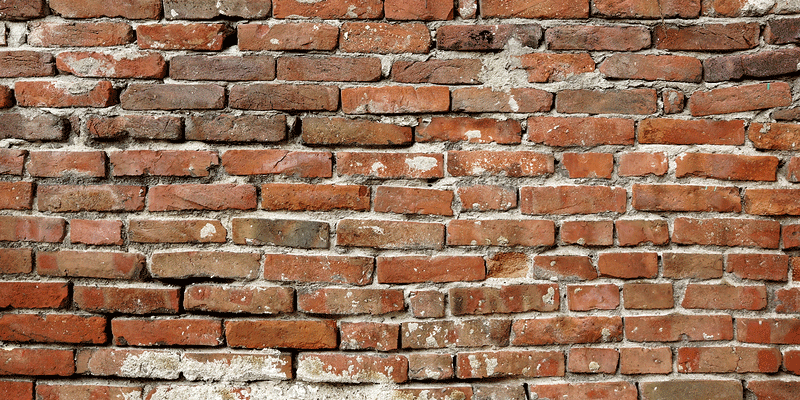 The best way to prevent stepped cracking is to have a solid foundation and well-designed elements responsible for holding up the walls supporting brick masonry. It’s also important to protect steel elements against corrosion and other damage. Freeze/thaw cycles cause materials such as mortar to deteriorate over time. If water soaks through masonry and then freezes overnight, it causes masonry to expand and then contract when temperatures go back to normal. 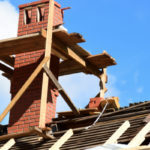 This expanding and contracting will happen again and again, leading to excessive pressure and eventually deterioration of mortar. Mortar deterioration is more likely to impact your masonry structure if the mortar was not properly mixed during installation. This is especially true when too much lime or sand is added to the mixture. The right weathering must be applied, and it’s important to not let aesthetics derail proper construction. Poor detailing of masonry is yet another common issue that leads to mortar deterioration.